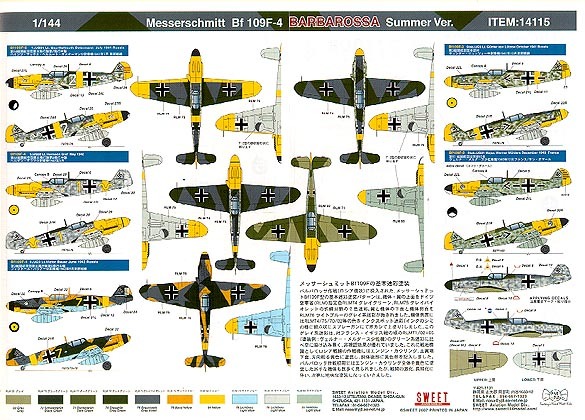 High Quality decal, printed by CARTOGRAF in Italy, provides the choices of 5 summer camouflage & markings; aircraft from JG3, JG51, JG52, JG54. 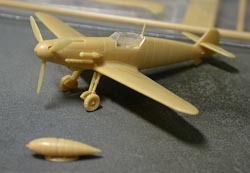 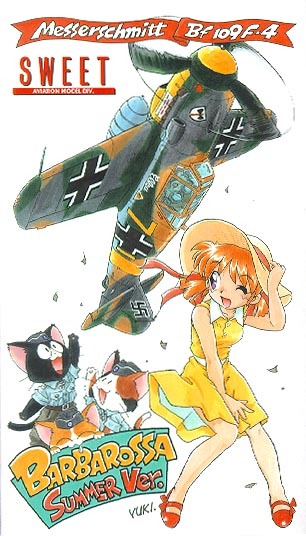 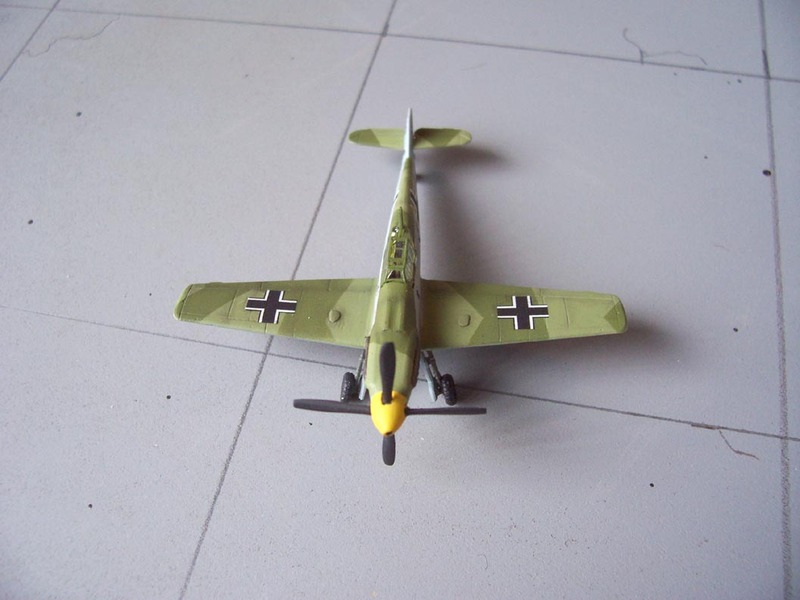 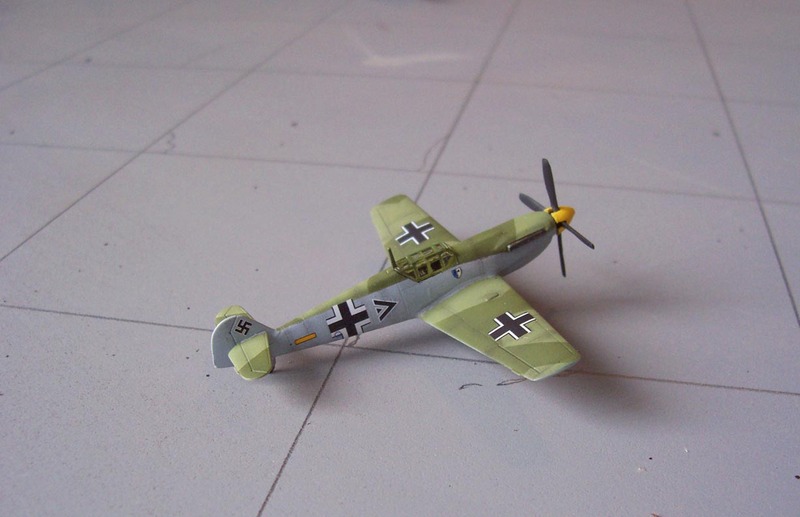 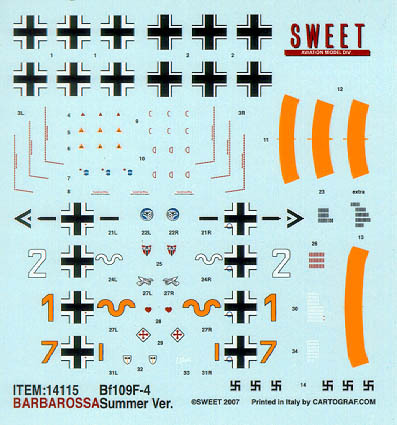 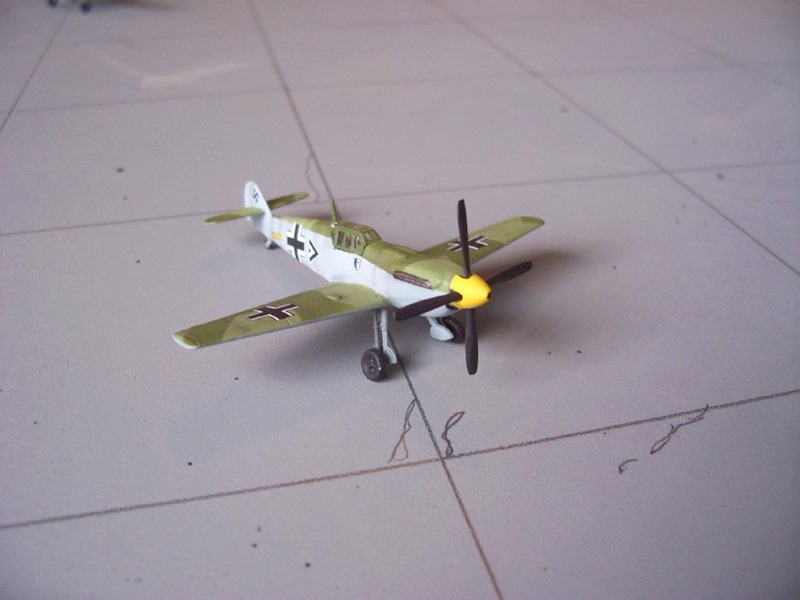 * The decal sheet provided markings of Messeschmitt Bf 109F-2 also. 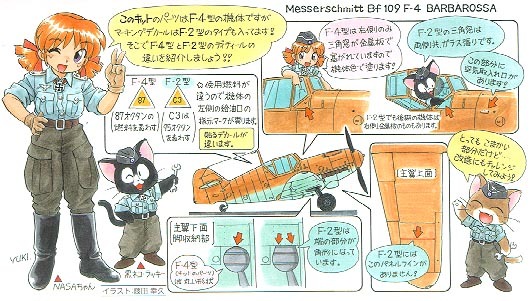 Simple modification makes this kit a F-2 model. 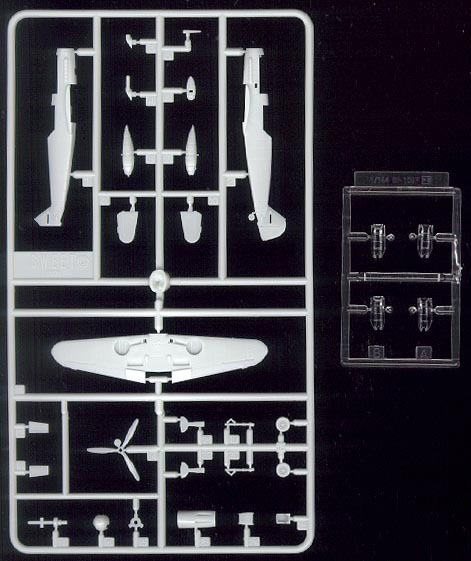 It illusterated above. 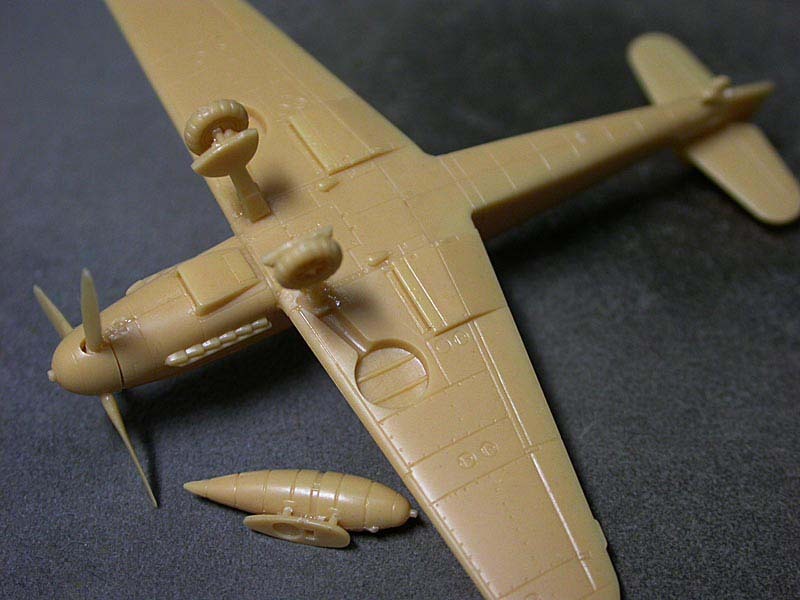 "Battle of Britain" film scheme.